A team of 28 people from three different churches are serving the children of Guatemala this week. I am privileged to be able to serve as leader of this team. Folks from Twin Rivers Worship Center in St. Louis, Missouri, Ridge Community Church in Dundee, Florida and Cross Community Church in Palm Beach Gardens, Florida make up this team. Member’s ages are from 15 to 50 something. We are visiting and serving the children of Casa Shalom orphanage in San Lucas, El Amor de Patricia Orphanage in San Lucas as well as a nearby Hospice for children with HIV/AIDS. We will be pouring concrete, painting walls, installing sofit and anything else we are physically capable of doing. We are loaded with several hundred pounds of new clothing, shoes, blankets and toys. The most important thing we are doing is loving the children. In each of the three locations, kids come from unimaginable conditions. They are now in a safe place and our job is two fold: share the love of Jesus with the children who are there and create conditions that are conducive for more children to be saved from deplorable conditions around the country. This trip is being coordinated with the assistance of International Orphan Support. If you haven’t heard of or taken a look at what this organization does, please do so at iorphan.cc. We would appreciate some prayer for the children we are serving, our hosts who work with the children full time and for our team members. I was witness to a great event today as a young girl began a ministry with the full support of her mother. Her mom has been in vocational ministry for many years – and this girl is only nine years old. She feels called to help orphans around the world. A couple of heroes, both mom and daughter. Here is what I think: In many cases, kids do what their parents do, but they take it further. This can work for us or against is. Allow me to explain. Whatever parents do in moderation, will be done in excess by their children. Parents who drink a little too much will possibly have kids that become alcoholics. Parents who model sharing in front of their kids have a good chance of raising generous kids. This is not a law and there are obvious exceptions, but I stand by my theory. This is a very positive thing for us. Our daughter, Jessica was raised watching my wife and I do ministry. Now she does ministry way beyond anything we have ever experienced. And I want her to soar light years beyond where I am. I felt inspired to tell the mother/daughter team this morning that the seeds planted by mom will come to fruition with the daughter. With absolutely no disrespect to the mom, I fully believe that the daughter will take it further. You parents, what does that say to you? An unbelievably large amount of material has been produced in the last few years on the topic of becoming a better leader. Some people are tired of the subject and others think they are excluded from the conversation because they don’t perceive themselves to be in a leadership position. Neither of these approaches are good because both of them will prevent us from accomplishing what really needs to get done in life. We cannot afford to get tired of studying leadership principles because they are ever-evolving. And yes, you are a leader! That simply means that someone is looking up to you, following you, watching you as an example. So how do we learn leadership? Most of us learn by reading. Good leaders are good readers. I think that if you are not perpetually working your way through some type of leadership material, you probably aren’t very serious about improving as a leader. Don’t know where to start? Try your public library. Walmart, amazon.com, and a thousand websites and blogs will provide a lifetime worth of decent material. Just start reading. Leadership conferences are all the rage these days. I receive invitations to dozens of leadership conferences every month. Many of these meetings are great and offer world-class training. Others aren’t, in my opinion, worth the price of admission. And I think the trap for some has become, being conference-active and leadership-weak. Eventually we have to stop running around the country listening to Chan and Hybels and Maxwell and we have to get to work. If you’ve been privileged to attend conferences, stay home for a while and use what you’ve learned. Most people learn by experience. In every one of my leadership appointments, I wasn’t adequately prepared for the challenges that were ahead of me – I had to learn on the fly. There is nothing like trial and error to teach us what to do and what not to do. This can be a painful experience for both the leader and the followers but it is a necessary element in individual and corporate growth. Don’t be afraid to jump into the deep end of the pool – just be sure you are in a culture that provides life preservers (systems and safety nets for a growing leader). I learn most by watching a leader in action. Yesterday I was able to be in a lengthy meeting with a leader that I admire. We were wrestling with some tough issues, decisions that had to be made that required strength and courage and wisdom. A few times throughout the day, I watched his facial expressions and his body language. I listened to the way he addressed his fellow leaders around the table. And I took note. We all observed how he worked his way through a difficult agenda. I think I left the meeting as a better leader. I learn the most by watching a leader lead. I learn when I follow. Come to think of it, that is how the greatest leader of all time did His best leadership training. Jesus asked His disciples to follow Him. As they spent 3 plus years shadowing Jesus, the disciples learned how to lead, how to respond to critics, how to care for the hurting, how to make decisions. They learned how to live and how to die. No matter what you are reading, regardless of the latest conference you’ve attended, no matter in what capacity you find yourself leading, my question is: from whom are you learning leadership? Who are you following, observing close enough to learn from? Watch them. If they are a good leader, get closer and emulate them. Lean in. If they are a bad leader, learn what not to do and keep on looking for a good leader to follow. 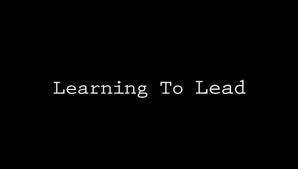 That’s how we learn to lead. President Obama really ticked off a bunch of my friends yesterday. When he issued his “evolution” statement on the topic of gay marriage, most conservatives in the US went ballistic. For the record, I am prolife. Very prolife! I believe in the sanctity of marriage, that God provides this gift for men and women to live together under His blessing. I believe that homosexuality is a sin. I believe that those who live together outside of marriage are fornicators. Let’s see, whom have I not yet offended? And for the record, I preach these things from the Word of God, often. In fact, just last Sunday, prior to the President’s announcement, I preached from I Corinthians 6:9-11 which tell us that those who indulge in sexual sins and are homosexual will not inherit God’s Kingdom. You just can’t change the meaning of those verses. But I am not preaching politics. I am preaching the Gospel. But I sincerely try to preach the truth with humility, in love, seasoned with grace. On many occasions, I receive emails from friends in our church who want me to preach about politics. Through the years, I have heard it all. “How will they know who to vote for if you don’t tell them?”. “People don’t have the right values, you need to preach about how this particular politician is against the Bible”. And so on. Here is my position: I am not called by God to preach politics. I am called by God to preach the Gospel – His Word. I do not believe that the problem in our country is politics. I believe the problem is, people are ignoring God’s Word. The answer is not for preachers to preach about politics. The answer is for preachers to preach the Bible. Politics never saved a soul. The cross of Jesus saves everyone who is saved. Preach the Good News of Jesus! The Bible never changes – it is true for all people at all times. Politics change. There is no hope in politics. Jesus is hope! I believe our country is in deep trouble and headed the wrong way. I am in deep disagreement with many of our leaders. I think the president is wrong. But I am not planning to give these misguided politicians my valuable preaching time. The Gospel is the Truth! I realize that I have yet to post pictures from my recent trips to Haiti and Guatemala for International Orphan Support. My apologies. I was privileged to visit 5 orphanages, 3 in Haiti and 2 in Guatemala from April 16-23. Below are a few of the children I met and memories I made. The children are from Destiny Village in Haiti and El Amor de Patricia and Casa Shalom in Guatemala. I hope you enjoy seeing their faces and will consider making a donation to help provide for their needs. The best way to do so is to support our Run for Love 5K which takes place this Saturday, May 12. Here is the link with the details. Everyone needs to be encouraged. I believe that different experiences and responsibilities in life require different levels of encouragement. Leaders and those involved in helping others certainly need an “attaboy” on occasion. I am writing from this perspective. The goal of this article is to encourage you to be an encourager to someone else, on any and all of these three levels. This is your unofficial nice guy who takes time to say positive things and give compliments when warranted. A “nice job” or “thank you” goes a long way to someone who is in the trenches. The back patters are important players in the leadership game. Never assume that people know how you feel. If they have done well, commend them. But please be sincere. Most of us can tell when people are blowing smoke or being disingenuous. Don’t cheapen the gift of encouragement by throwing compliments around. 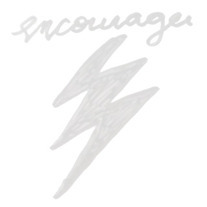 Sincerely express your encouragement. It will go a long way. A pat on the back may be just what your leader needs today. The next level of encourager goes beyond words. He or she believes in you and the vision enough to actually get their hands dirty helping you. When the weight is too heavy to bear, these second-level encouragers come alongside you and make your job easier. Never underestimate the value of a strong back. You notice when they show up – the atmosphere improves. You are glad they are involved. Load bearers may be not be long-term contributors but the time they spend pitching in makes a big difference. I’m having a difficult time labeling the third level of encourager. The partner? No, too many cultural considerations. The sidekick? Too condescending. The colleague? Too academic. Just allow me to explain: This third level encourager is part of you. You couldn’t shake them if you wanted to. This person may be a spouse or a relative but for sure they are committed to you. Thick or thin, success or failure – they’re there. If you get into a fight, they’ve got your back. If your integrity is questioned – they defend you. They give you the benefit of the doubt. They know you are not perfect but they are committed to you anyway. And this relationship is a two-way street – you serve as a third-level encourager to them as well. I believe that this level of encourager only comes around a few times in one’s life. They are not there to see what they can get from you. You can trust them to have your best interest at heart. A word of warning: you shouldn’t try to be this level of encourager for many people. It just won’t work, we are not built with the capacity to function like this for very many people. This level of encourager is a rare treasure. If and when it happens, value it. I am grateful to have all three levels of encouragers in my life. To them I say, “Thank you!” I literally could not do what I do without you. I hope I am involved in encouraging others on all three levels. Be an encourager on all three levels. Someone you know could really use the pick up. Let’s let Barnabas be our encourager. He was so good at it that they gave him the nickname. His place seemed to be as a genuine revitalizer for others. He made their world a better place. He picked them up and encouraged them to press on. I hope I can do that for you – on some level. And I am hoping for the same from you.